Afridun Amu, Afghanistan’s first surfer, will represent his country at this year’s International Surfing Association’s (ISA) world surfing championships in Japan. Amu, 31, was the first Afghan surfer to represent his country in the sport and has taken part in a number of international competitions including the ISA’s World Surfing Games in Biarritz, France in May 2017. The Afghan surfer is currently in Japan to prepare himself for this year’s 2018 World Surfing Games which will start next month. He will also participate in the 2020 Summer Olympics also scheduled for Japan. Surfing at the Summer Olympics will make its debut in the 2020 Summer Olympics in Tokyo, Japan. After several attempts at inclusion in the Olympics, the ISA has been successful in getting surfing included in the 2020 Games. “My wish was to have an athlete in the world surfing games from Afghanistan, so because of this I focused on surfing,” he told TOLOnews. He visited north-eastern Panjshir province last month with a group of surfers and even ‘surfed some waves’ in the Panjshirriver. “The people thought that it is impossible to surf in Afghanistan and there is no place for it,” he said, adding that “I wish tobring this sporting event to Afghanistan so the people know about this sport,” he said. 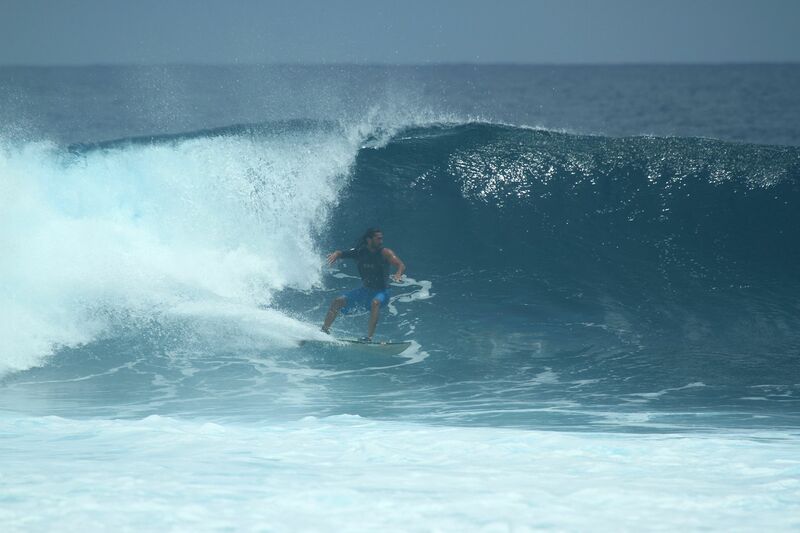 “When I am on my board in the water, there are no worrying thoughts in my mind,” explains Amu. “All that I am aware of are the waves, the ocean and the present moment,” he said. Amu lives in Germany and is a lecturer at Potsdam University. He also works closely with Afghanistan’s judicial organizations. He was born in Kabul but fled the country with his family when he was five years old to escape the war. He spent his childhood in Moscow, Russia, where his father worked as a diplomat, according to Surfline.com. His family then moved to Germany as political refugees in 1992. He graduated in law, cultural science and design. He works as in constitutional law at the Max Planck Foundation for International Peace and Rule of Law and is a lecturer at the Hasso Plattner Institute. Amu spent his formative years as a political refugee living in Germany. After finishing school, he hitch-hiked around Europe. A chance encounter in France gave him his first taste of surfing. Amu will take part in this year’s ISA’s World Surfing Games in Japan, and then at the Olympics in 2020.